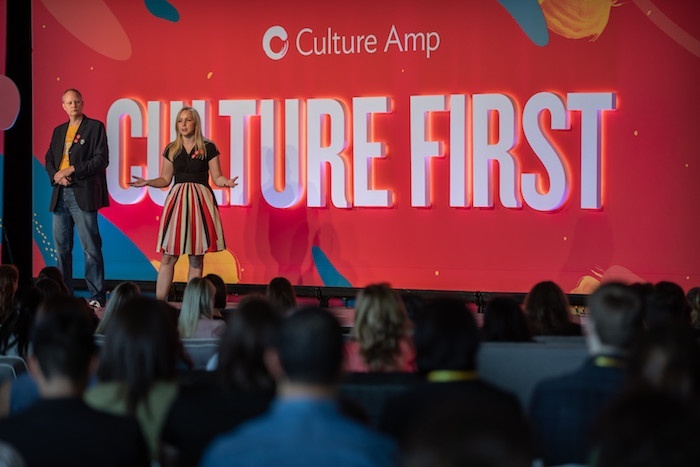 At Culture Amp’s inaugural Culture First conference, we wanted people to enter an environment that embraced diversity and inclusion. Attendees were greeted with signs that said, Welcome, and, You belong here. When creating our speaker line-up we asked ourselves, what new perspective is this person bringing to our community? However, it wasn’t the signs, accessibility, or speaker lineup that created the most discussion during the event. It was a seemingly simple exercise, one we call the D&I pin station, which had people talking. 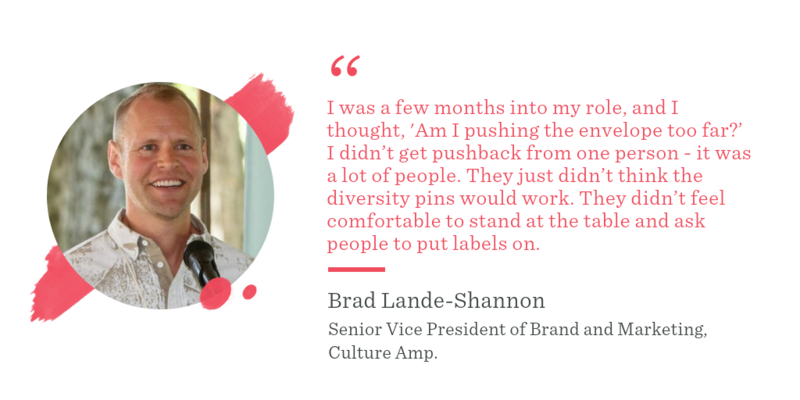 As a new leader within Culture Amp, Brad brought the idea to the team with great enthusiasm but was met with mixed reactions. Here we share how and why this exercise was brought to life, and what it meant for attendees at Culture First. Why ask people to label themselves? It was this question - why ask people to label themselves? That came up internally when we first discussed the pin exercise. It was Brad who had first seen it in practice, at an event hosted by Rich Talent Group and SY Partners. It was a summit for people leaders and the day was focused specifically on diversity and inclusion. There was a sign over a table by the entrance that read, “The Future Includes.” Stickers labeled with elements of people’s identities were available for attendees to choose from. “I was seated at a table at the front, and there was Mellody Hobson, the woman who gave the epic TED talk Color blind or color brave. I didn’t recognize her at first, but I remember seeing one of her stickers, ‘Grew up poor.’ In the first conversation I ever had with her she shared a story about that part of her life experience. I immediately felt connected to her when I usually would have talked about something more benign,” says Brad. It was this profound level of connection that Brad wanted to bring to Culture First. However, Culture First was about ten times the scale of previous events that used this type of exercise. The questions remained: Would it still work effectively? Would people have trust and be willing to be vulnerable? While facing uncertainty internally, Brad stayed a champion of why it was important and worth the risk. “So many people had commented on it as part of their experience previously, I was confident it would be worth the experiment,” he says. After the initial period of questioning, it was decided that we would move forward with making this exercise part of the attendee experience at Culture First. Steven Huang, Culture Amp’s current Head of Diversity and Inclusion, was brought in to help guide the project. “I was immediately in love with the idea. It maps to Culture Amp's first value, 'have the courage to be vulnerable,' and would showcase how we live this value in a Culture First way. My first step was to review the existing labels - my first reaction was ‘these aren’t vulnerable enough!’” he says. “Some people suggested things that were very benign like “80s music lover,” but that’s not hard to reveal nor does it define your life experience,” says Brad. That’s what the pins were about ultimately - parts of your identity that people might not know by looking at you. Some of the terms did come from SY Partners, like “grew up poor,” and many new ones came from brainstorming internally. We struggled with this because so much of diversity and inclusion is about amplifying underrepresented people and giving them space - would having a pin for straight white guys take that away? We decided that straight white men are our necessary allies in our fight for equality. 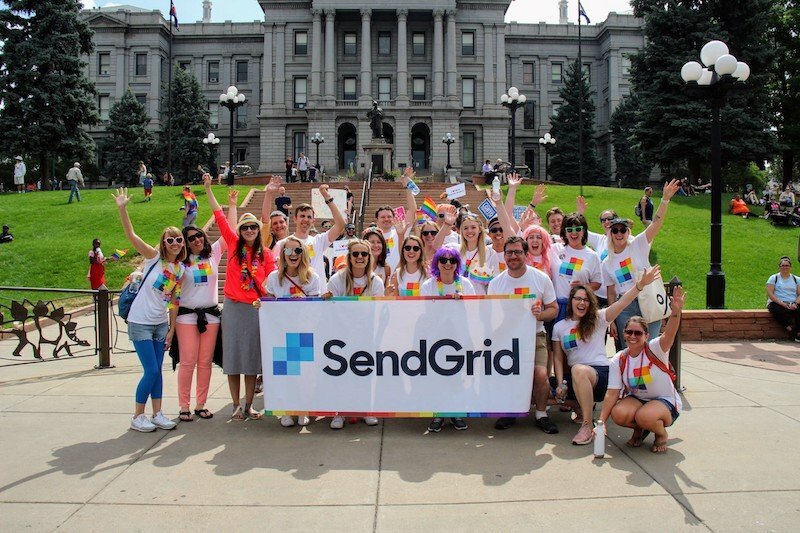 Diversity and Inclusion includes everyone, yes, even the straight white guys. The question here was, ‘Why would gun ownership be discussed at a culture event?’ We decided it was relevant because gun ownership is a polarizing topic in society, but in a way, it transcends the neat "camps" that the media like to put us in (like liberal vs. conservative). In our diversity and inclusion survey, we’ve found that single parents experience the workplace differently than those without kids or those that have a partner. Raising kids as a single parent comes with specific challenges - like balancing time and wellbeing. Even if the pin doesn’t describe your own identity, perhaps you were raised by a single parent - and being able to make that bridge between attendees was very powerful. As Culture First quickly approached and the pins arrived, the next decision was to assign people to manage the exercise at the event. Peter Haasz and Katy Stevens were two people chosen, and they still had misgivings about how it would play out. “I’m a straight white man from a privileged background. I’ve learned a lot about diversity and inclusion at Culture Amp, but the most important thing I’ve learned is how much I don’t know. Who was I to be the public face of something I knew so little about?” says Peter. 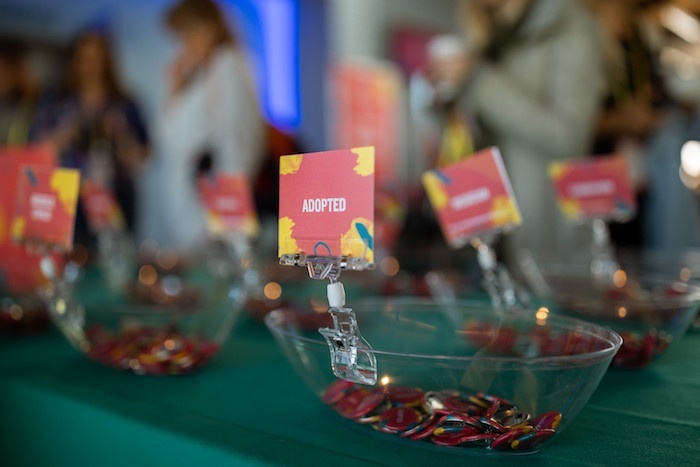 However, as the doors opened on day one, the D&I pin station was up and running. After attendees checked in and received their badges, the table was one of the first interactive experiences of the day; this was intentionally disarming and set the tone. Who would be the second person Lance met that morning? A woman, wearing a vegan pin. They laughed and shared stories behind the labels they had chosen. 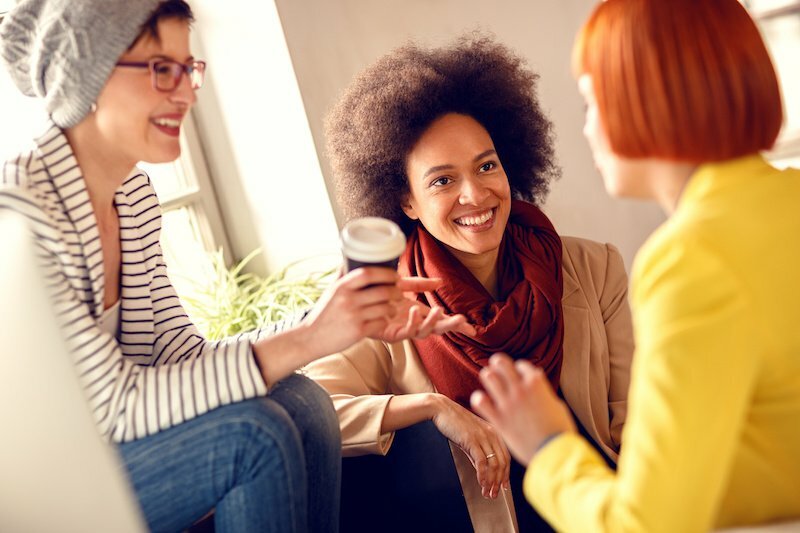 “I’ve had conversations like this at conferences before but they usually involved alcohol as a truth serum. This one was happening before a 9:00 a.m. keynote. All thanks to a label that I chose for myself and pinned to my lanyard,” says Lance. The diversity and inclusion pins were more than just an exercise to greet people at the door. They activated the conversation around diversity and inclusion and brought it into the open. As our co-hosts JD Peterson and Jo Cranford opened the event, they shared the pins they chose and asked people in the audience to share a story of why they chose one pin with someone near them. 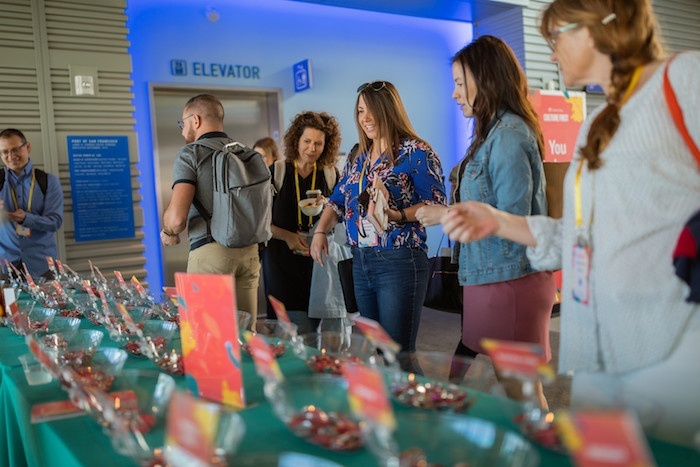 “It was important that we started the conference this way because it sends a strong message and it set the tone for the rest of the attendee journey. This is going to be an experience that values participation and conversation. All your identifies are welcome here. And the courage to be vulnerable is the birthplace of connection” says Brad. Our post-event survey also showed that people who went through the D&I pin experience were more engaged at the conference. By asking people to choose three pins to reveal elements of their identity, we encouraged deeper conversation and created an environment of inclusivity. 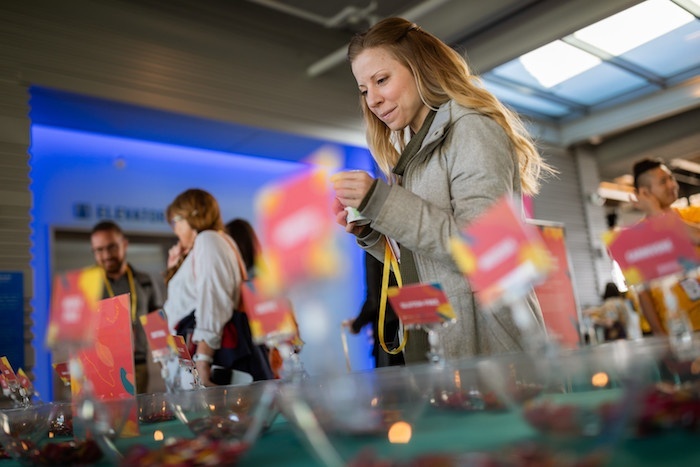 If you’re looking for a way to bring diversity and inclusion to the forefront at your next event, company all hands, or retreat, try the diversity and inclusion pin exercise. 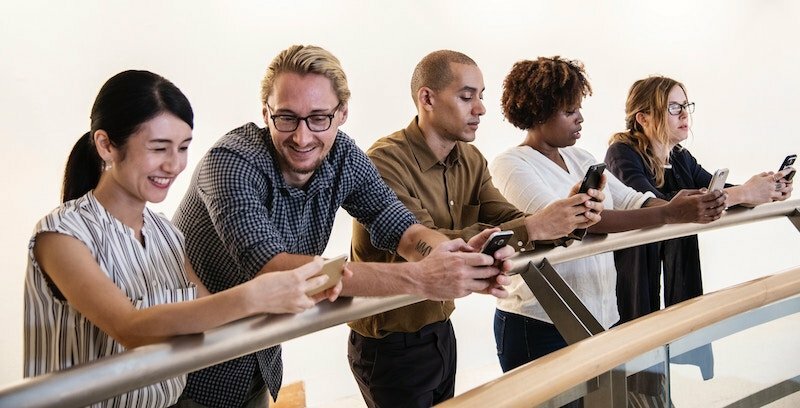 Want to learn more about diversity and inclusion at work? Get insights from our 2018 Diversity, Inclusion, and Intersectionality report.